This Class 1 Reflective extra large cone clearly marks hazardous areas and displays a safety message on all four sides. Link together with plastic chain if needed. Stands 900mm high. 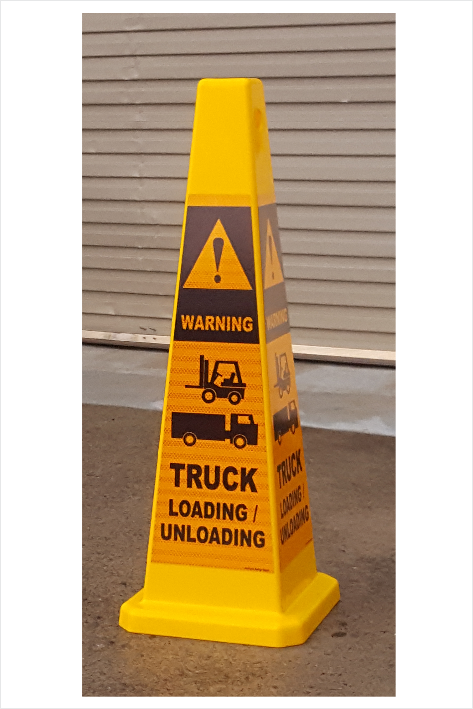 Our Class 1W Reflective Trucks Loading Safety Cone stands out well. Trucks loading or Trucks unloading cone is made from Moulded plastic, this 4 sided cone resists cracks and chipping. 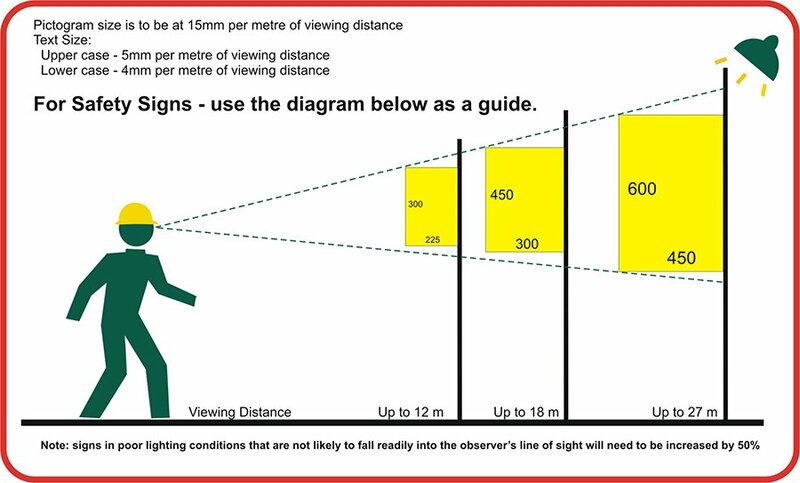 Similarly, the Unloading cone colour fading is at a minimum outdoors. Furthermore, the wide base adds stability and stacks for easy storage. 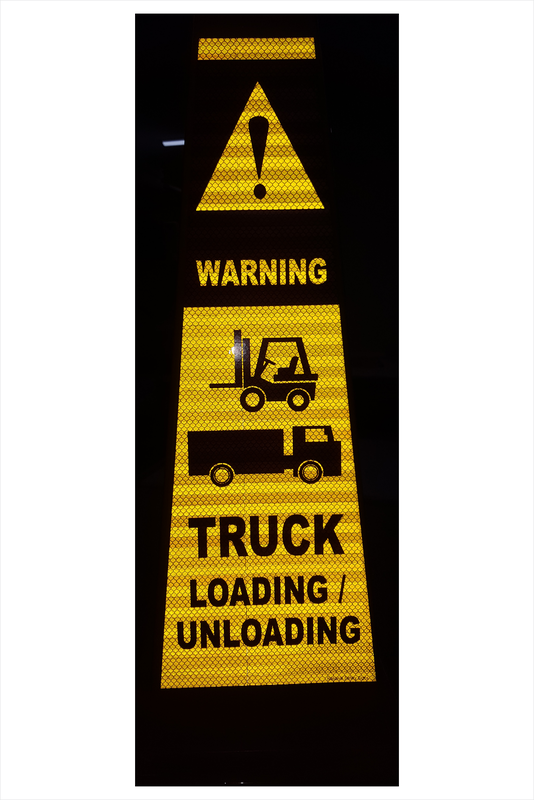 We have truck unloading signs in our store as well.